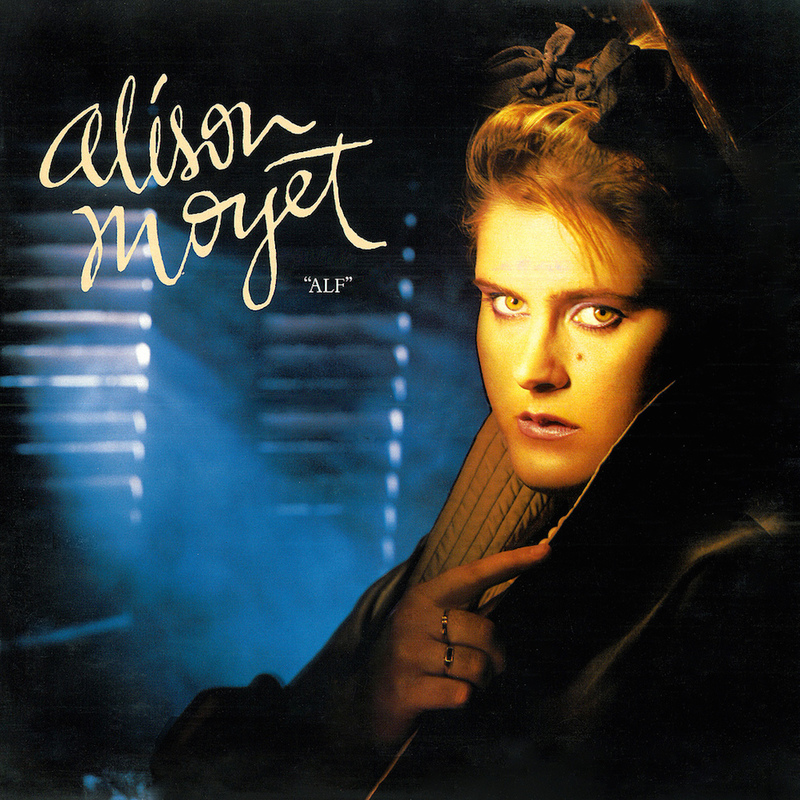 Today’s POP RESCUE from a fate unknown, is the 1984 debut solo album Alf by former-Yazoo vocalist, Alison Moyet. This 9 track album opens with lead single Love Resurrection, which reached #10 in the UK. This is quite a gentle track, and at times in the chorus, it unsurprisingly reminds me a little of Erasure. There’s some wonderful vocal harmonies here, and the song is really quite catching. A great choice for a debut single and an album opener. This is followed by Honey For The Bees, which is quite a light and upbeat song. It is laden with wonderful little synths tinkling away in the background which really feels like it’s helping to usher the pace. Thankfully it has nothing to do with the similarly titled track by Billie Piper. For You Only feels somewhat downbeat and a little sad, as Alison sings about how she fears of being alone. Her vocals here are soulful here, and at times I can imagine someone like Lisa Stansfield covering this song. Up next is third single Invisible, which comes bursting in with big 80s beats and keys. Alison’s vocals are big and strong here too. This track was written for her by legendary writer Lamont Dozier. Sadly, this song despite being reasonably catchy, stalled at #21 in the singles chart, and signalled the end of the single release schedule from this album. Side one closes on slow number called Steal Me Blind, which also introduces a gospel choir as backing vocals. They’re joined by piano, and the end result makes something that sounds fairly blues-styled, and a platform for Alison to show off her vocal diversity. Side Two opens with second single All Cried Out, which reached #8 in the UK singles chart. This is a phenomenal track, that was deserved of its hit status. The song is wonderfully 80’s sounding – both musically and vocally. Alison again shows off her vocal range here, with some wonderfully low register right through to higher rock-styled moments. The melody stands back slightly allowing her vocals to shine. Such a great track. Next track Money Mile is softer by contrast with plenty of lovely ‘oh oh oh oh’ vocals over a meandering piano line. Alison’s vocals punctuate the music, giving a sense of speed and urgency, and she’s joined by more backing vocals for the chorus. This is a really nice song – it feels quite minimal, but it works perfectly. Penultimate track Twisting The Knife has an almost disco-styled intro, before Alison’s vocals races in. This is a fully fledged pop song though, and by the time you’ve got half way through the chorus it all makes sense. This should really have been a single. The album aptly closes on Where Hides Sleep, which begins with some dreamy vocals singing the song title before being joined by a gentle synth loop. Alison shows off her softer vocals here, and this works really well as the keys tinkle in the background. Alison has not appeared (as a solo artist) in the UK Top 40 singles chart since her #18 hit Whispering Your Name in 1994, which featured comedian Dawn French in the supporting video (who had previously starred with Jennifer Saunders in Alison’s 1987 #4 UK hit single Love Letters). Her most recent single in 2004, scraped in at #99. However, her most recent (excellent) album The Minutes, reached #5 in 2013, which has seen her embark on a lengthy successful world tour and media campaign. POP RESCUE COST: £3.00 from Hyperion Auctions. Posted in 1980s, Alison MoyetTagged 1984, album, Alf, All Cried Out, Invisible, Lamont Dozier, Love Resurrection, review, Steve Jolley, Tony SwainBookmark the permalink.